Preheat the oven to 350 F. Grease the inside of a large casserole dish and set aside. Bring a large pot of water to a rolling boil over high heat. Meanwhile, in a large, heat proof bowl, stir together the chicken or turkey, condensed soup, 2 cups of the cheese, peas, and a pinch of ground black pepper. When the water is boiling, add the pasta and cover the pot with the lid until it reaches a full boil again. Then remove the lid and cook uncovered until you have achieved your desired doneness (use the package directions as a guideline), stirring occasionally. Be sure not to overcook the pasta. Drain the pasta well and stir it in with the other ingredients in the casserole dish. 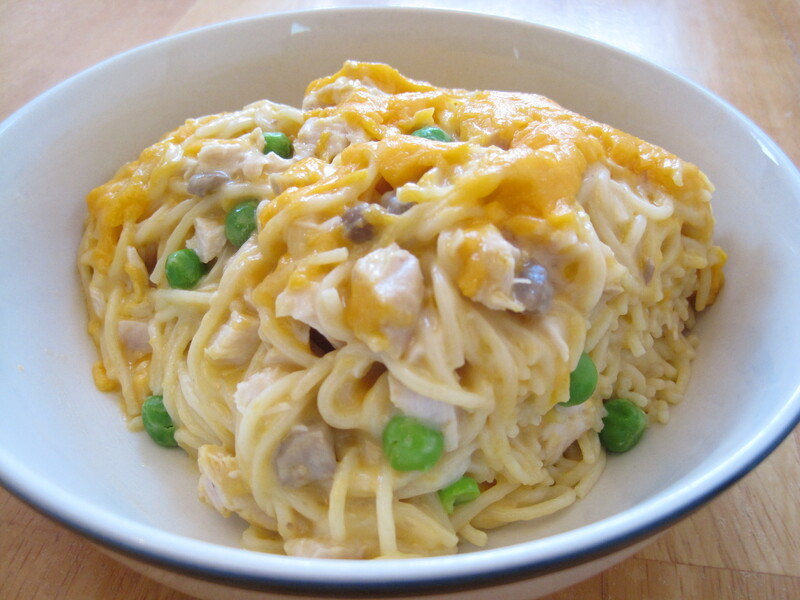 Spread the pasta mixture evenly in the dish and sprinkle over an even layer of the remaining shredded cheese. Bake uncovered until it is heated through and the cheese is bubbling, about 18 to 20 minutes. Serve warm. Once this has cooled completely, it can be frozen. Allow it to defrost in the refrigerator before reheating. I copied the recipe and made it for supper. It worth the work. So good and simple.